There’s a lot of talk about recessions and bear markets right now, but underneath all of the pessimism in some corners of the market, people are forgetting something important: you can profit off of the market–any market–regardless of which way prices are moving. In the past, it was just through selling stocks short, and this came with a ton of risk, and a ton of guilt because of the blame that people put on short sellers for driving market prices down. Whether it was true or not didn’t matter much, it was easy to shift the blame. Now, there are a lot of vehicles out there for taking advantage of falling prices. Options are a great choice since they give you the freedom to choose whether or not to do this, for a fee, of course. In the commodity market, futures contracts let you do this, too, although these have even bigger contract fees and there’s no freedom of choice as to whether or not you can opt out of the final deal. There’s some fluidity in selling your contract, but not as much as you would like in a bad spot. Evolving technology and methods have made downtrading a lot easier though. Forex brokers allow you to take short positions in a currency with no extra cost besides the spread. Binary options brokers allow you to take out a short term put option with no price unless prices go up. Yes, the economy is uncertain right now, but that doesn’t mean that your portfolio is ruined or that you won’t have enough cash to retire on in 20 years. Markets go up most of the time, and that’s why downtrading is not a good long term strategy, but in rough economic times, there are things you can do to grow your money even though the market is shrinking overall. You don’t need to hire a hedge fund manager if you don’t want to. If you’re willing to put in the work and find a short term trading strategy that works for you and your budget, you can still see things go in your favor, even while everyone else is losing money. It’s time intensive for sure, but so is anything worthwhile. Make sure you read our Forex for Profits review, if you are having trouble trading these types of markets. For most people and most financial situations, binary options are the only place where you can short term downtrade with any noticeable positive results. Low deposits, small trades, and high returns all work out to the small traders benefit. Still, the question that a lot of people have at this point is: what if I lose even more money? It is a real possibility, but only if you are acting haphazardly about it. Take a few precautions, and you will thrive. For starters, don’t just start trading full throttle if you don’t have experience in the short term. Investing and trading are very different and cannot be treated the same with success. Study patterns in your favorite assets, see how they are moving, and then act appropriately. But, it’s still not time to start. 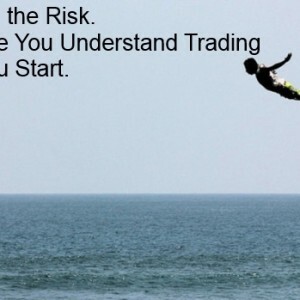 You need practice first, and luckily, some brokers can let you do this without any risk through demo trading. For a few days, your broker will let you test out the software and practice your trades with fake money. It’s enough time for you to learn the basics and get a feel for what you’re doing. Next, start actually trading with small amounts. Even if you are depositing $100,000 in your account, start trading with the minimum amount you can. This will help you to learn what it actually feels like and teach you how to handle real risk. You can grow from there. It’s a great alternative to taking your money out of the market, or even worse, watching it disappear in a bad market.